intu, the owner of some of the UK’s largest and most popular shopping centres, is launching a new TV campaign under a new brand platform this Christmas: “Your kind of shopping”. 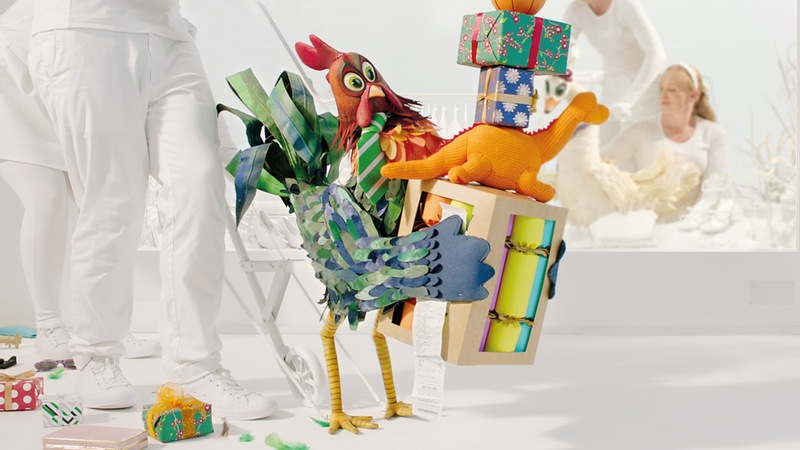 The Christmas campaign, created by Now, features beautifully and painstakingly crafted bird puppets inspired by stage shows such as War Horse and The Lion King to personify seven different types of shoppers and shopper behaviours - from the ‘Last Minute Panic Shopper’ in a flap to the ‘Wise Shopper’. The message of the campaign is that, no matter what type of shopper you are, intu understands you and can make your Christmas shopping experience better. The puppeteers in the film include specialist performers from Henson and War Horse and the puppets, film and photography were produced by Blinkink and directed by Joseph Mann, who together have also helped create loveable characters for the likes of Cravendale and Churchill. Having the puppeteers as part of the performance, a technique traditionally reserved for the stage, allows the film to feel more like a piece of theatre.. The integrated campaign launches on TV on Monday, November 7th and will also run across digital, social, OOH and in-centre media. Now, which was appointed to the business in January this year, also worked alongside media agency Blue 449 for the campaign.